It all began with my dream to bring Asian flavors to the world of baked goods. 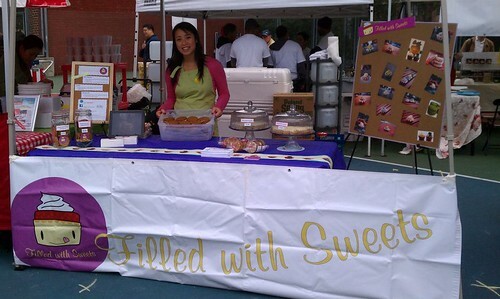 In 2011, I started Filled With Sweets and started selling my baked goods at Hester Street Fair and other venues. After numerous rounds of testing ingredients and formulating recipes, I have come up with delicious treats! For a better idea of what I make, check out the other pages on the website (i.e. Cupcakes, Cookies) and what I continuously bake in the blog. Take a look at my video that describes concept and background to Filled With Sweets that was used for Kickstarter!